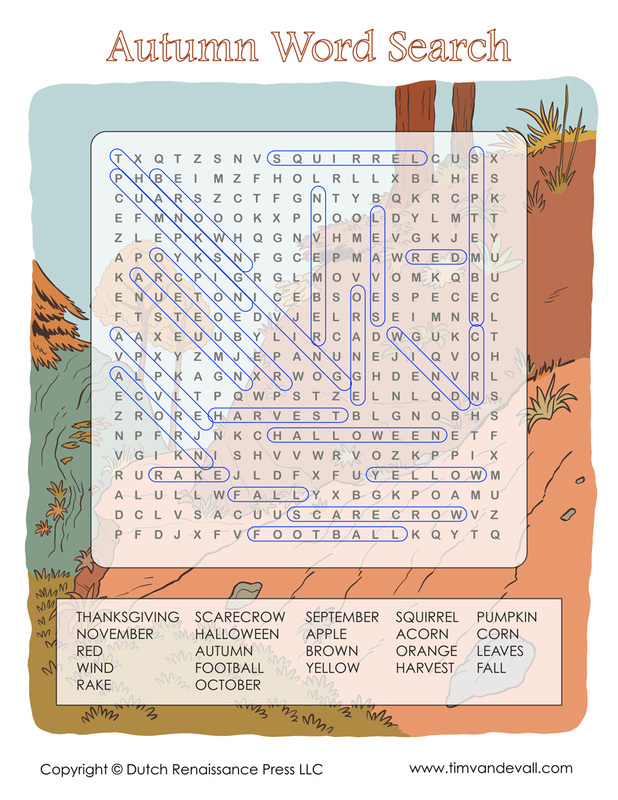 A free printable autumn word search for kids, with an illustrated fall nature scene in the background. Includes 22 words to find related to the autumn season. Jpeg format. You can download the answer key here. This free version is a medium resolution printable Jpeg. If you would like to download the high-resolution PDF version, please visit Teachers Pay Teachers.